After we found out Kate Moss was set to be wearing a dress designed by her close friend and fashion legend John Galliano, it was set to be the dress of the year in the fashion world. 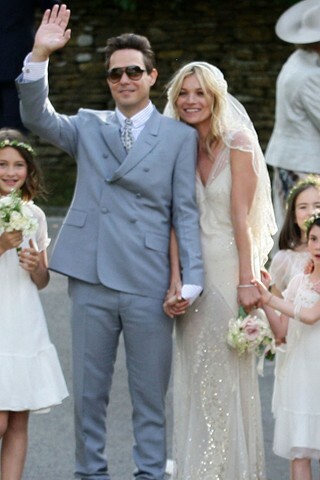 She arrived at the church in a silver Rolls Royce ready to marry her rockstar husband to be, Jamie Hince. She was joined in the car by her father and daughter and looked stunning as smiled for the cameras. 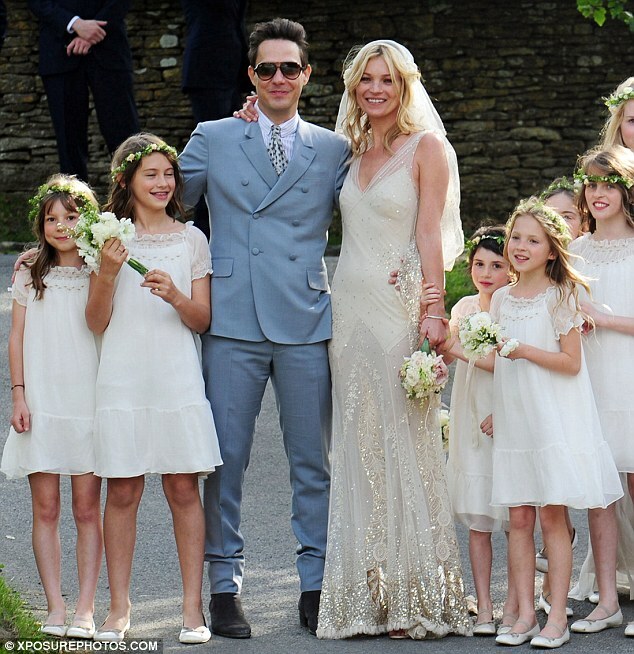 The supermodel tied the knot wearing a spectacular dress. The dress was perfectly body skimming and embellished in hundreds of crystals. It was simple and classic but yet so beautiful. Her lace veil was also embellised and topped with a gorgeous vintage style headband that went perfectly with her simple but pretty bouquet of white flowers. The couple have now been said to be having a festival party, lasting three days behind the fashion icons mansion with guests such as Stella McCartney, Vivenne Westwood and Arcadia boss, Phillip Green. A real fashion festivity! After the ceremony in Costwolds, the newlyweds simply beamed as they posed with their 15 bridesmaids, including her daughter, Lila Grace. Her husband opted for a light blue YSL suit and of course, added his inner rock star with a pair of sunglasses!